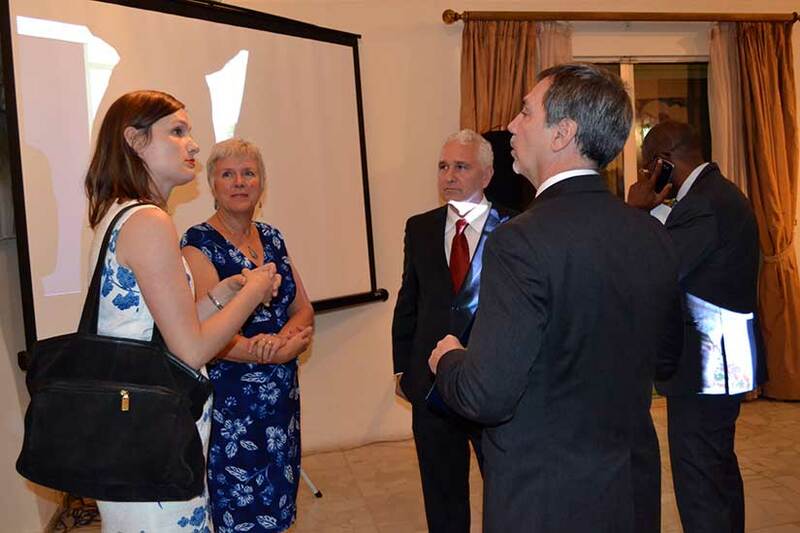 Last December 2016, the US Ambassador to Cameroon Michael Hoza generously hosted a reception in honor of the Congo Basin Institute’s efforts to advance science to meet the critical challenges facing Central Africa. The University of California, Los Angeles (UCLA) and IITA are leading a multi-institutional initiative to develop the Congo Basin Institute (CBI), which will be a model for how universities, NGOs, and private business can partner in international development and science. 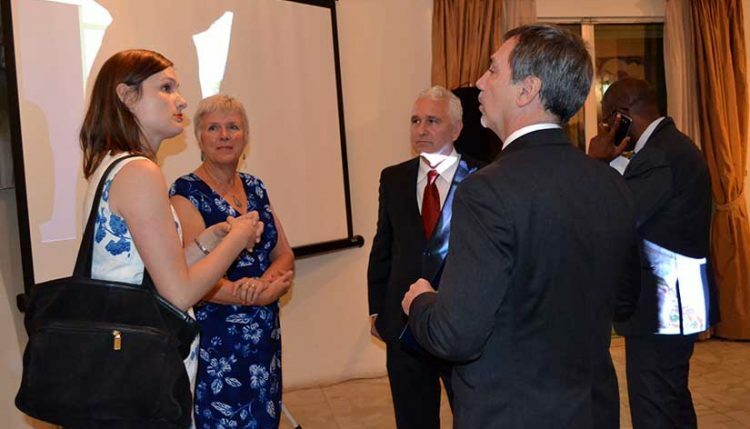 Tom Smith (UCLA), and Ambassdor Hoza of the US Embassy. was Bob Taylor of Taylor Guitars, who, along with the Spanish firm Madinter and CBI, has invested significantly in improving the sustainability of ebony harvesting in Cameroon. The partnership is a model for how CBI can bring together multi-stakeholder groups to advance development, scientific research, and capacity building in the Congo Basin.